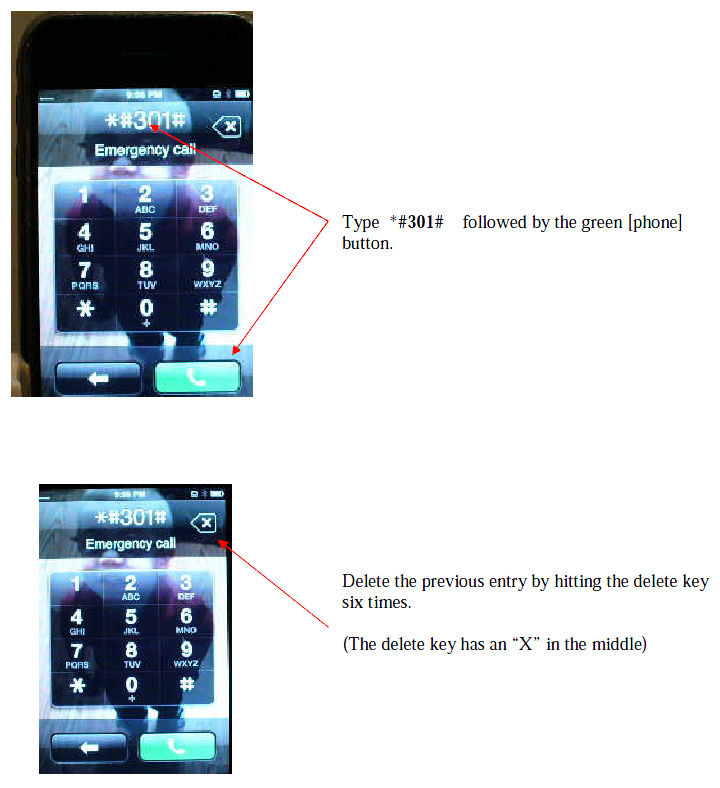 If you encounter an Apple iPhone where the phone is locked with a Passcode, keep in mind the hand set only allows 5 Passcode attempts before locking out phone. This work-around is limited to iPhones with firmware versions 1.1.2 and earlier. The workaround was disabled on version 1.1.3 in February 2008. 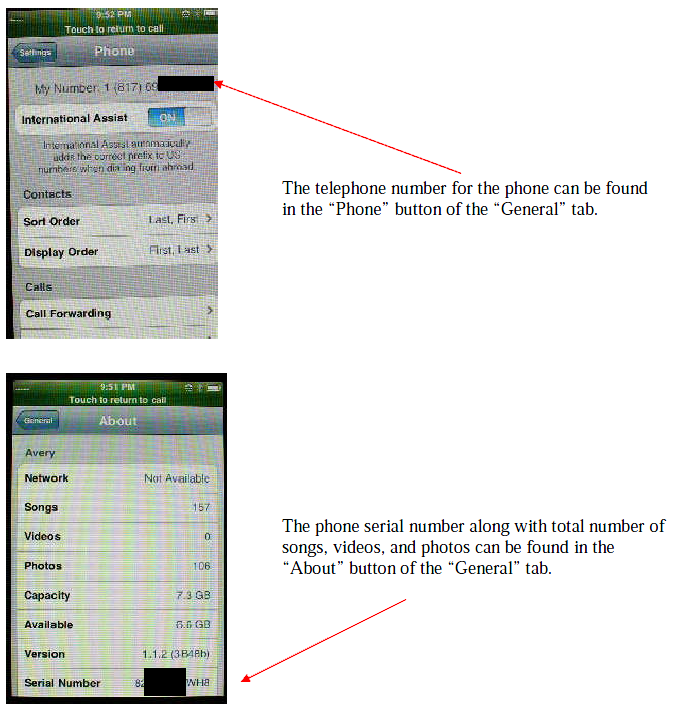 Data can be retrieved from the SIM card as well as from the phone handset. 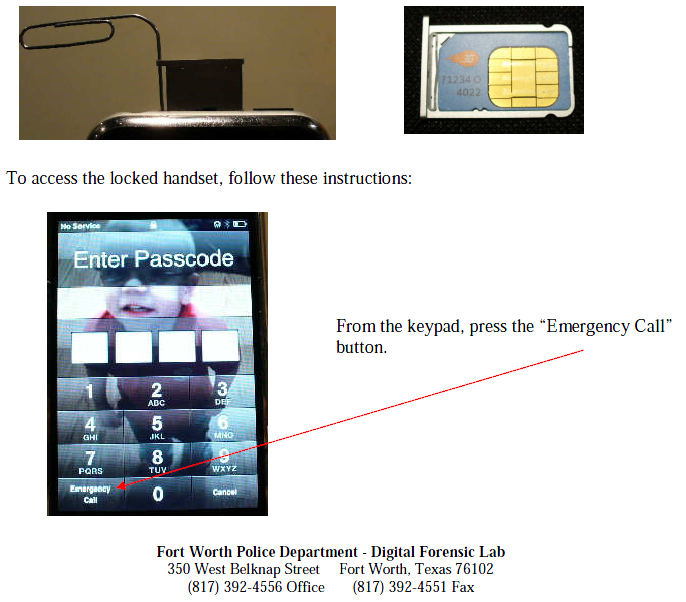 To remove the SIM card, place a paperclip in the hole at the top of the phone. 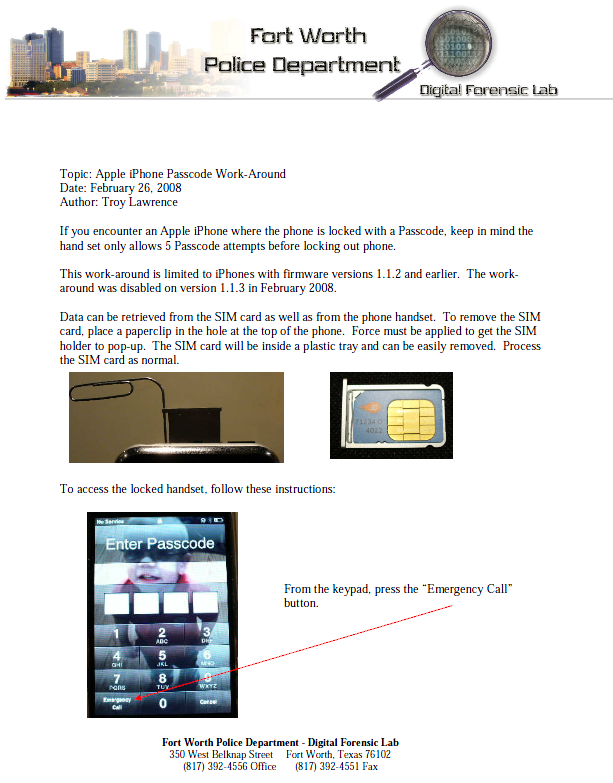 Force must be applied to get the SIM holder to pop-up. The SIM card will be inside a plastic tray and can be easily removed. Process the SIM card as normal.